Press cold pressing axle unit wheel pair PHN-1 is designed for cold pressing on the neck axis of the wheelset RU1-950, RU1Sh-957 according to GOST 4835 in axle-box assemblies with bearings with short cylindrical rollers, coaxial type bearings CRU DUPLEX and conic bearings of cassette type. introduction of compact hydro power plants of low power (management which is performed by a programmable controller) to ensure energy savings. 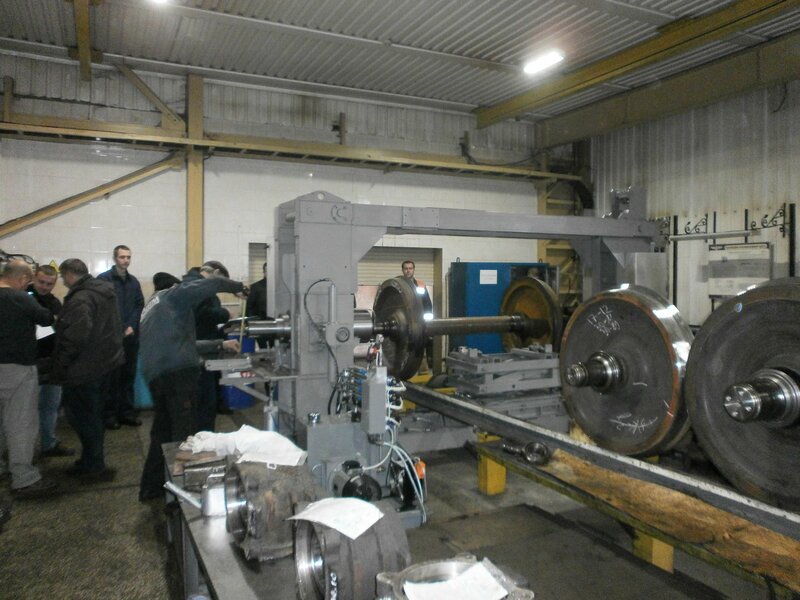 device centering wheel pair relative to the axis of overmolding and turn the wheelset on 180град for overmolding of the second axle unit. fully automatic npresence axle-box of node. Press PHN-1 after the upgrade has got an automated control system with a display which shows: current status of functional units of the stand and the stage of the technological process of overmolding; schedule the efforts of the pressing in real time, which is compiled separately for each pressing; recommendations to the operator for the implementation of the technological process of overmolding. 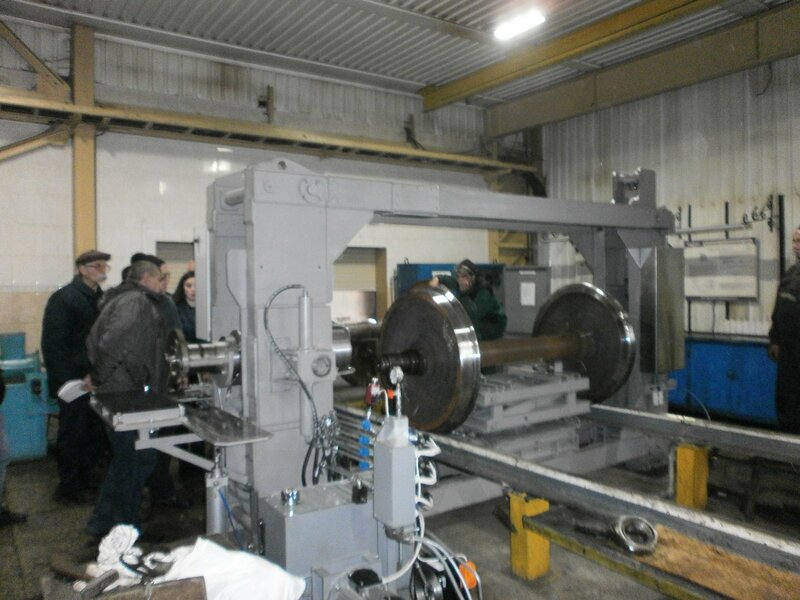 automatic and semi-automatic operation, which eliminates the possibility of operator error.